Are we opening up Australian Government? 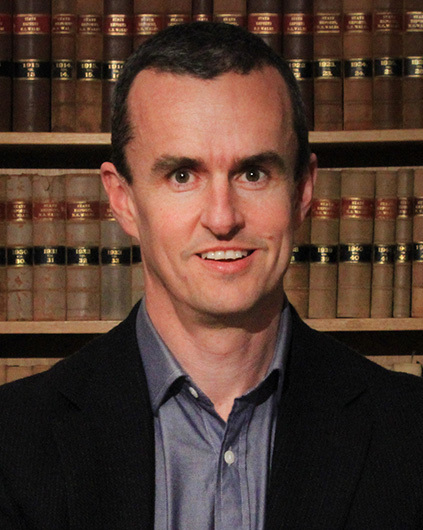 Greetings from a law-book lined library at the Australian National University, where Daniel Stewart, Senior Lecturer, ANU College of Law is asking "Are we opening up government?". This is in his role as part of the evaluation of the Australian Open Government National Action Plan 2016-18. This is a bit like being an extra in an episode of the ABC TV comedy "Utopia", with a "dashboard" showing cute green icons, which claims everything is on track. Leaving the cynicism aside, and the difficulty of a credible plan for open government in the current political climate, the plan has some good intentions. As an example 2.3 "Digitally transform the delivery of government services" is a good idea. This is delegated to the Digital Transformation Agency (DTA), which makes sense. The DTA was to to deliver a roadmap, which they seem to have done. However, what is lacking are the trained staff needed to implement the roadmap. The Australian government is reported to be considering "Cyber commandos for defence reserve" modeled on those of the UK (Ellen Whinnett, Newscorp, 16 August 2017). The UK Joint Cyber Reserve Force. was stood up in May 2013 and I suggested Australia do some thing similar in August 2013. These reservists would be similar to medical specialists who can apply their civilian skills in the military. This allows the military to use personnel who they could not afford to train and retain full time. It also provides a link between those running critical national infrastructure in the civilian sector and the government organizations tasked to protect it. As I see it, members of the Cyber Reserve Force should be issued with secure communications equipment which they keep with them during their civilian job. The members would be in constant contact about threats and ready to act on them within minutes. This contrasts with a conventional reserve, where it takes days, weeks, or months for activation. James Kavanagh, CTO Microsoft Australia started his keynote at the 21st Australian Computer Society Annual Canberra Conference by mentioning that today Microsoft announced that Microsoft Azure will be provided from Canberra Data Centres (CDC) for Unclassified and Protected government data. Conference chair, Tim Turner from UNSW Canberra, opened the conference by welcoming our robot overlords (the theme is AI). From looking at the program, that will be the only humor today, on the topic of AI, until Anh Do does the closing plenary. I will be speaking on "Designing Professional e-Learning" at 2:20 pm. Last night I attended "After the Dance" by Terence Rattigan at the New Theater, Newtown in Sydney. Set on the eve of World War II, the play depicts the end of an age of peace and prosperity with bright young things world weary. Callum Alexander in early scenes seems to be channeling the young Hugh Grant in Four Weddings and a Funeral. John Cervenka's set is a little sparse for the era. One jarring point was walls which appeared to be finished as polished concrete. The Chesterfield sofa was the centerpiece for the characters to lounge. Costume Designer Brodie Simpson captures the elegance of the age, before wartime austerity. This pay in one way looks dated with young men in tweed and oxbridge accents discussing love affairs while drinking gin and tonic. In another way it is of today, with Australia on the brink of a war in North Asia, awash with alcohol and having binged on the proceeds of a mining boom on colonized land. Greetings from the Canberra Innovation Network's First Wednesday Drinks. I have been here since 2:30pm, for a World Cafe on the future of innovation in Canberra. A room full of people moved from table to table discussing what needs to be done to foster innovation, how that can be done and how to get the message out about doing it. It can be very frustrating at such sessions where there is a lot of ideas floated but you wonder if anything will ever happen. In this case we had the satisfaction of then attending the first Wednesday pitches and heard of real things making a real difference. I did try to get a bit more creative with ideas, beyond the obvious of teaching innovation, I suggested turning CBRIN into a reality TV show, with the real life drama of turning ideas into products and services.